Continued from "Battle of the Shoyru Gang". Surprisingly, Shoyru was the first to emerge from the chains, to find the Aisha judge, lying on the floor beside the desk, supposedly lone gone. He rubbed his eyes, and looked about him in puzzlement. Despite the weakness of his legs, the pain in his head and the constant hiccupping that had started yet again, he struggled towards her and propped her up against the desk. "I don't remember being here," said Shoyru, still hiccupping. "What are these chains doing around these four anyway?" The rest of Shoyru's team still lay there, although now conscious. Wingman was slowly trying to get up but failed in the attempt, so lay down again. Finally, after a struggle with the chains, Wingman broke free and ran up to Shoyru, in spite of his weakness. "Shoyru!" he said, quickly. "The officer has gone now, so we can get you into hospital and diagnose this thing you've got." Shoyru stared at him confused. The Aisha was trying to understand what he said, failed, and sat back down again with a splitting headache. She closed her eyes, and fell on her back. She didn't move again. Wingman couldn't let the Aisha get in the middle of all their problems, but instead of just ignoring her he held her limp body up and put it on top of the desk. He ran outside and grabbed a piece of charcoal and scrawled on a scrap of paper- 'Police Notice- Judge Attacked by Visitors in this Court'. He threw the charcoal at the wall with a crack and turned back to Shoyru. "To diagnose, well that, well you know what I'm talking about, don't you? You cracked up badly and needed attention!" As he was speaking Kacheek, Felicity and Voltager had managed to escape the chain and ran to join him. "Sorry, what is this thing?" Shoyru asked him again. Wingman pulled his wings down over his head in mental agony. He turned to the others. "Let's face it," he announced, "Shoyru's illness has resulted in memory loss as far as I can see, and he can't remember..."
"Who are you?" said Shoyru. Kacheek shrieked, and ran in all directions around the room and screaming that it's all over, Shoyru can't remember him. Felicity was still keeping calm and cool, but Voltager looked in such surprise she started throwing electric shocks of 10,000 volts all around the courtroom. Wingman was starting to get a headache, but as he shouted only made it worse. "QUIET!" Wingman's tears of pure anger now became more persistent. He slammed a fist against the judge's desk and pounded the floor with his tail and legs. A fireball almost literally flew from his eyes. "Right," he growled, pointing with a shaky finger at the door. "Everybody OUT!" "Everybody what? Hic!" Shoyru looked about him startled. Wingman gave the floor another pound with his tail and struck it with the blade on his wing. Wingman gave the gang a push to get them outside. Everyone, that is, but Shoyru. He stopped hiccupping but the headache was so immense that instead of advancing towards the door he stumbled in the opposite direction, and slammed his head straight into a wall. Kacheek yelped while watching from outside the door. "What is he trying to do?" he squealed. "Just calm down already!" Felicity put a paw over Kacheek's mouth and gagged him. Kacheek struggled to break free without biting but it was too hard. Shoyru then stumbled through the doorway and fell down beside the gang; he appeared as if he had been in combat with a firework. He passed out. In panic Voltager aimed a jolt at Shoyru and let fly, but nothing happened. She tried again, and again, but there was no affect. Then she was beginning to get cold, and there was little electricity left, or any heat or light to absorb in the tar as energy She panicked and was quivering all over. "Oh no!" she wailed. "It's all over now! He's gone!" "He will be if you don't stop SHOCKING him!" Wingman's eyes were brimming with tears. He rose to his trembling feet and took hold of Shoyru gently. "Come on, everyone, I'm taking him to hospital RIGHT NOW!" 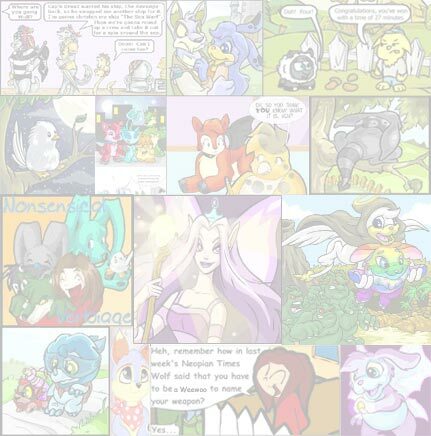 Wingman was hanging onto Shoyru as if his own life depended on it, and was struggling to move one foot after another as he and the other NeoPets dragged themselves foot after another until they reached the hospital, where they fell again. At this point Shoyru was barely breathing. Suddenly a smart yellow Shoyru with a red Shoyru on its back ran past them as they were trying to run ten marathons in one day. The smiling group passed them without noticing, and a number of seconds later passed by them again. It was the third time that the red one noticed something was wrong. "Hey, stop buddy!" it shouted. The yellow one stopped immediately and raced back the other way. "You've gone past them!" the red one shouted again. "Past what Red?" it answered. "Back there. Over there!" the red Shoyru pointed to Shoyru's team. The two pets raced to them and stopped. The red Shoyru tried to pick Shoyru up, but failing, set it back down again. "Need a hand?" the yellow Shoyru asked with Shoyru in his arms in a split second. The red Shoyru gasped in surprise. "T... Thanks pal," he said gratefully. The yellow one propped it up by the hospital entrance door with ease, whilst the red Shoyru tried to wake Wingman up. Finally he awoke, along with Kacheek and Voltager before him. Wingman blinked. "Who are you?" he gaped. The red Shoyru smiled and shook hands. "I'm RedShoyru767," it replied. "Your friend back there looks in bad condition, so we're putting him or her in treatment there." "Bad condition?" Wingman spluttered, acidly. "He's closer to the end than ever!" "You're kinda touchy man," he sighed. "Come inside now, do. Bring that blue one in while you're at it," he continued, pointing to Felicity who still lay exhausted. "She could do with a bit of warming up in here. It's freezing out there." The NeoPets moved onwards into the reception in the hospital carrying Shoyru carefully through, where a smartly dressed green Gelert greeted them. "Hello dears," it said smoothly and gently. "What seems to be the problem?" She was smallish, very friendly looking. "I'm Geraldine," she continued. "I'll do whatever I can to help you." The yellow Shoyru handed Shoyru's motionless body to the Gelert to check up on. 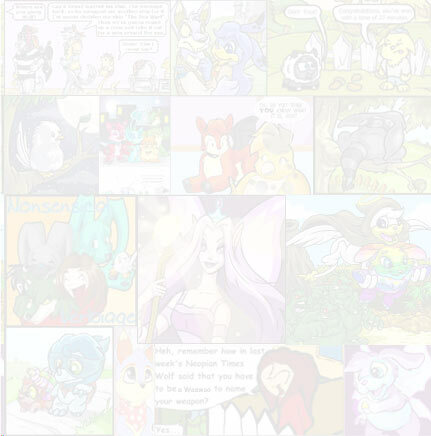 The NeoPet paused for a moment. She examined Shoyru closely with a careful eye. "Oh... oh dear," she faltered, and beckoned the group to follow her upstairs into the wards. Along the way, Wingman was questioning the yellow Shoyru. The Gelert continued walking, nervously, but picking up pace. "How is it," he began, "that there seems to be places teeming with Shoyru, and an evil group of Shoyru and a lot of my friends happen to be Shoyru?" "Well," it started, "I don't know about the evil Shoyries though I do know they look like your group only with different colours and without the tarred and blue Shoyru you have there. Why places are teeming with them, well they want to prove themselves worthy fighters against the evil group, and no the evil group isn't the one you attacked that Felicity betrayed." The group entered one of the wards while following the Gelert doctor, who then placed Shoyru on a hospital bed. Shoyru's eyes were closed and blood from his forehead covered one side of his face. Wingman turned his attention back to Shoyru after gaping with horror at the yellow Shoyru. "I... I can't believe it..." he stammered. "We made a bad choice attacking Felicity's old gang, and Shoyru could die now. It's far too much!" The Gelert too looked very nervous, staring at the screens which beeped second after second. It applied bandages to cover the cut on his head and slow down the bleeding. Frowning, it turned to Wingman. Kacheek was hiding behind him in fright. The Gelert finally spoke. "Just what is wrong with your friend?" it asked, voice stammering slightly out of control. "It doesn't look like any normal Neomonia. It looks really bad, it's not even the cuts that give it away. It's the temperature; just look at it." Geraldine pointed to the reading on a computer just next to the bed. The group looked at it in fright, the reading was 120 degrees centigrade. Every second it climbed by 2 degrees, then 3, then even 5. "This is far beyond my training," she sighed. "What's wrong with him?" Wingman shivered all over, his eyes watery. "I... I don't know!" he cried, nearly flinging himself at the screens. "All I know is that he's half dead! And we've tried shocking him already. It just won't work. The cut on his head, the bruise on his arm and the tear on his wing, the soaring temperature, all I know is that he may be gone ANY MINUTE NOW!" Suddenly the beeps on the computer screen were speeding up. The Gelert merely panicked; it put its ear on Shoyru's chest, but it could hear nothing. Voltager tried hard to keep in volts of energy but she couldn't hold them in much longer. The beeping caused Felicity to wake up, startled. Kacheek covered his eyes to stop tears splashing Shoyru. Wingman panicked again. BOOM! In one ear-splitting bang, one huge thunderbolt exploded from Voltager and in a flash, collided with the beeping computer; the beeping computer exploded quickly, windows shattered and the hospital began to crumble. Directly after that the hospital lurched to the side, sending the startled pets sailing out of the window and hurtling towards the ground. The yellow Shoyru, who was less hurt by the blow, flew quickly underneath and caught them all, flying slower before dropping to the ground. Just before they reached the ground, Shoyru was breathing again, and his eyes opened. "Ugh, what?" he murmured. He looked up. The hospital was in flames, pets with more injured pets were running away from the blaze as if it was the final disaster. He sat up abruptly, feeling a lot colder than before. The force was so powerful that it shook the ground with tremendous earthquake effects. Geraldine had also landed safely, but she was somewhat different; she seemed hypnotised by the scorching flames, trying to dodge the pieces of glass that were shooting down like missiles. One had already caught her cheek and leg. The pets roundabout took fright and fled. Geraldine rounded up the gang quickly and seeing Shoyru's eyes open, without stopping dropped a large bag from its coat pocket. Then it turned, racing to escape the fire. Wingman carried Shoyru and the bag, and the rest except for Kacheek just started flying, heading through the forest nearby, desperately trying to get away from the blaze. The yellow Shoyru and RedShoyru767 helped them along by picking Shoyru from Wingman's arms and flying, faster. Kacheek followed them quickly from behind, tripping up along the way and nearly getting left behind. He charged into the clearing of the forest after them. Finally with heavy legs the gang fell to the ground, Shoyru stumbled away from them as he landed. "Shoyru!" Wingman gasped, struggling to reach him. "You OK?" Shoyru pointed with a weak hand towards the bag, grabbed a glass bottle from it, popped the cork and drank the liquid. Dizzily, he stood up and reached for another, and gulping it down, quick but not clumsily. Kacheek burst out into the group, in front of Shoyru. "Can you still remember me?" Kacheek said, his eyes shining with hope. Shoyru paused, turning to gape at the fiercely burning building, now turning to ashes. Kacheek paused hopefully. Looking into the flames jerked Shoyru's mind. It was like he was hallucinating, images of him and Kacheek in a fierce battle with the yellow Skeith appeared in front of his eyes, then he saw Wingman leaping in to help him. After the images had faded, Shoyru spoke. "Yes," and paused. "I remember you." With tears of delight Kacheek rushed towards him and leapt into his arms. After regaining their poise minutes later they continued walking down the path. The yellow Shoyru leapt in front, stopping them. "What are you doing?" Wingman said, surprised. "We all need to drop off somewhere and rest all our cuts, bumps and bruises!" "Look," it said, "we are heading into an unknown desert next, do you even know that place?" "Just who are you anyway?" Wingman growled, with restraint in his voice. The Shoyru backed away, and Felicity hushed Wingman. "I'm Goldy20001," it replied, quickly. "Sorry I didn't mention it before. We have all left our owners on a long journey to search and wipe out that evil Shoyru gang." The gang stopped dead. Voltager and Kacheek stopped trying to charge each other with volts of electricity. "Tell us more," they said in chorus. RedShoyru767 nudged Goldy20001, urging him to continue. "Just call me Goldy for short," he said, "and my friend Red. Where was I? Yes, we've all left our owners and are trying to eliminate that strange legendary volcano like Shoyru and it's gang. Check this out." He pulled out a photograph of a red and yellow fiery Shoyru with fire coming from its mouth. Its eyes were red and shiny with bright light. It's back was brown like a volcanic rock and it's body moving as if it were on fire. Voltager took one look at its face and stared, wide-eyed. "VOLCANO SHOYRU?" Voltager yelped. "He... he's my elder brother!" "He was?" Goldy said sharply, tucking the photo away underneath his arm. "Why didn't you come to tell us earlier?" "I've only just recognised him!" she wailed, snatching the photo from Goldy's grasp and drying her eyes on it. "Besides which, you hadn't come to mention it earlier on, had you?" "All right, calm down," Felicity shushed her and Goldy. "If you don't keep calm and cool about this job you'll never do it. Just look at you." Voltager agreed, and shut up quickly. Wingman's mouth was gaping as if he were a fish out of water. Kacheek leapt out. "She's right," he said. "If we don't keep cool, bring Shoyru back to full heath etc., we'll never summon enough power to find and beat him! We need buckets of WATER, too, get it? Fire versus Water..."
"Yes okay, that'll be all!" Wingman said, acidly. "Let's just go forth into this strange, desert land, find this inferno, and wipe him out!" "CALM DOWN!" cried Red and Felicity in chorus. "But..." Voltager started nervously, "I... I just thought of something, a... a good strategy." Everyone paused and turned to face Voltager. "Shoyru have a weak point for electricity," Voltager said excitedly, "I know that, it's when they're in the air..."
"KEEP IT DOWN!" Wingman snapped. "Letting the whole WORLD hear it already!" "I HAD to tell you lot!" she squealed. "Be reasonable you ignorant lot!" Shoyru was listening quietly all the time. While they were busy arguing, he slipped away and hid behind a prickly bush and stopped still. He summoned his new strength to crawl beneath the bush in spite of the prickles, and slipped behind a nearby tree. "Did they mention something about a Volcano Shoyru?" he thought. The gang behind him hardly noticed him, for they were too busy arguing. He sneaked slowly towards the tree ahead of him. Suddenly there was a noise, a rustling of a bush ahead of him. Shoyru scuttled ahead to see what it was about. Peeping behind a large leaf, he saw what looked like a patch of water on the ground. "Oh, if only a good faerie would come make my poor mother better!" "You must be hearing things," said Jen. "All four of your ears hear things all the time." Psh, nice pajamas there. Real tough lookin'. "The Water Faerie's ring," said Benjamin in awe. "It'll heal anything from a cough to a broken tail." Hey, it's a common mistake. So, we're back again! This time, we've chosen to do Magic Items and more weapons. "But, we're just PetPets... I've never been anywhere without Blumchy," said Mr. Pringles nervously. "Anyone up for fried devil?" SunRays asked.